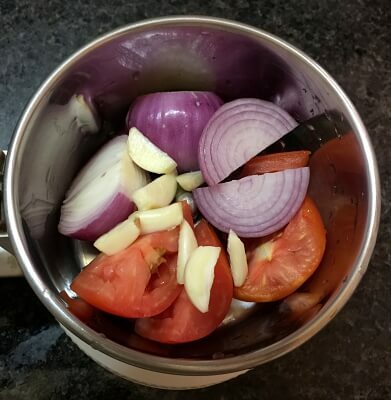 Onion Tomato Chutney is a very quick and easy to make recipe. 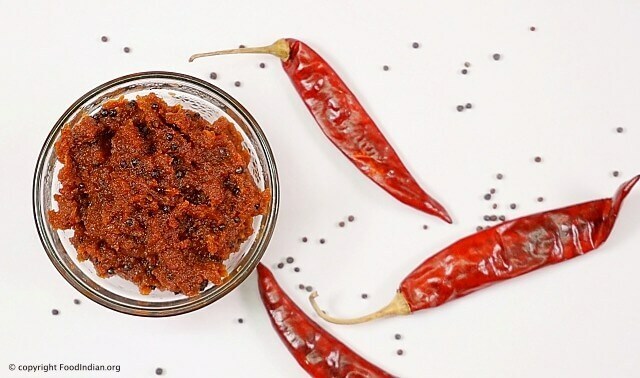 The basic ingredients of this Spicy Red Chutney is onion and tomato, but the tamarind and dry red chilli makes it simply irresistible as it provides hot and tangy touch into this recipe. 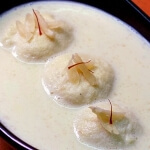 If you are a chutney lover like me, try this lip smacking dip with idli or dosa. Or you can have it just like that. 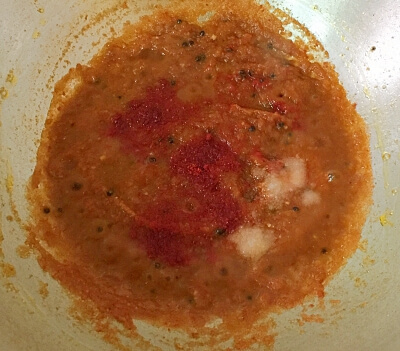 Place onion, tomato, garlic cloves, dry red chilli and tamarind pulp into a blender and grind it into a smooth puree. 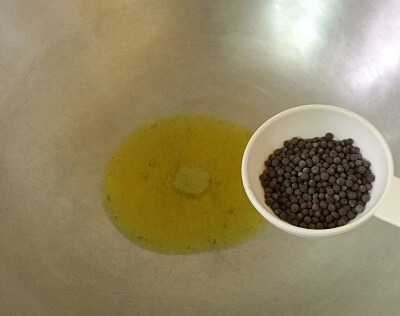 When the oil is heated, add mustard seeds and wait for them to splutter. 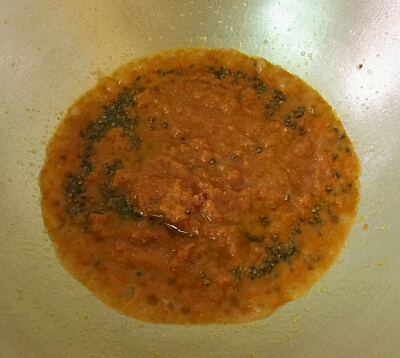 Add the ground puree into the pan, stir for a while. 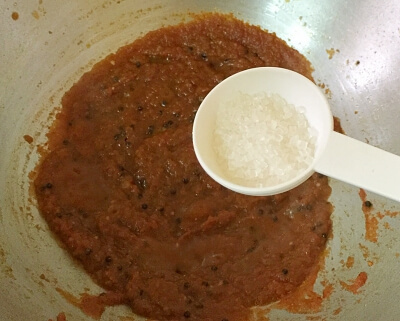 Into the mixture, add some salt, some sugar and kashmiri red chilli powder. 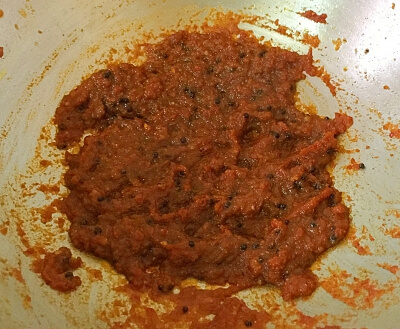 Cook the chutney on low flame till oil separates from sides . Switch off the flame and transfer into a serving bowl. 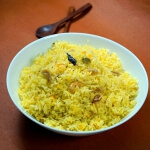 If you feel 3 red chillies are too much for you then reduce to 2. 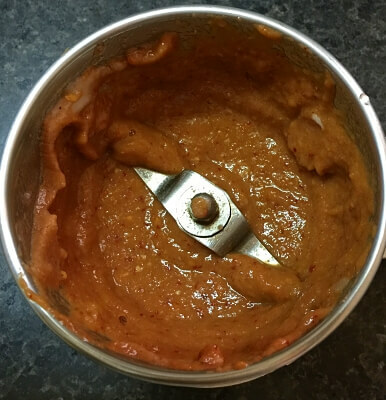 The chutney becomes thick after sauteing. You can add little water to make it thinner consistency. 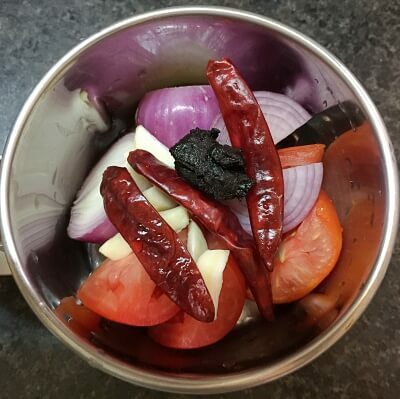 You can store this chutney up to 5 days in refrigerator. 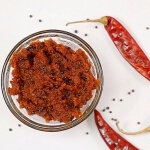 You can also check other Chutney Recipes like Tomato Chutney, Green Coriander Chutney, Raw Mango Chutney, Til Ki Chutney, Papaya Plastic Chutney.